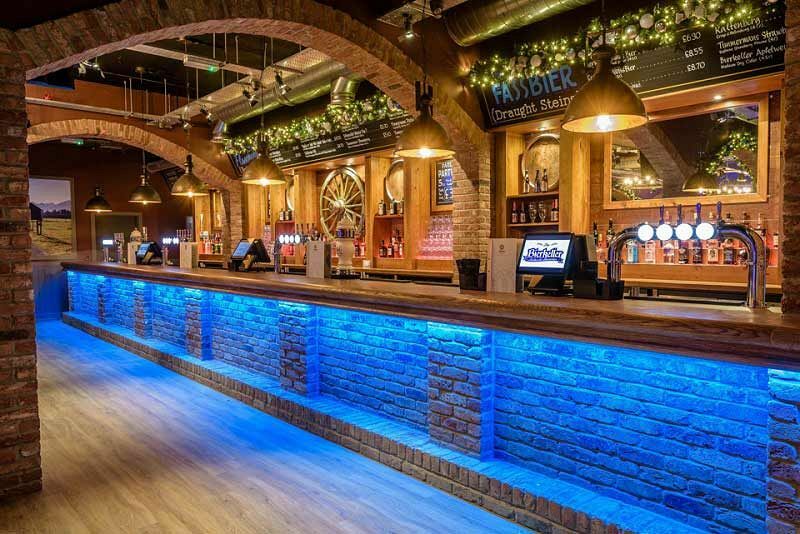 With Christmas just around the corner, it’s never too early to start thinking about planning an unforgettable evening of festive merriment for your team, and what better way to do so than with an exclusive party night at this brilliant Bierkeller in central Birmingham? You’ll discover all the delights of Bavaria with a celebration here, where you’ll treat your taste buds to some delicious German food and drink. You absolutely must sample a Haus Bier (which of course will come served in a traditional Stein) or one of the stein cocktails! 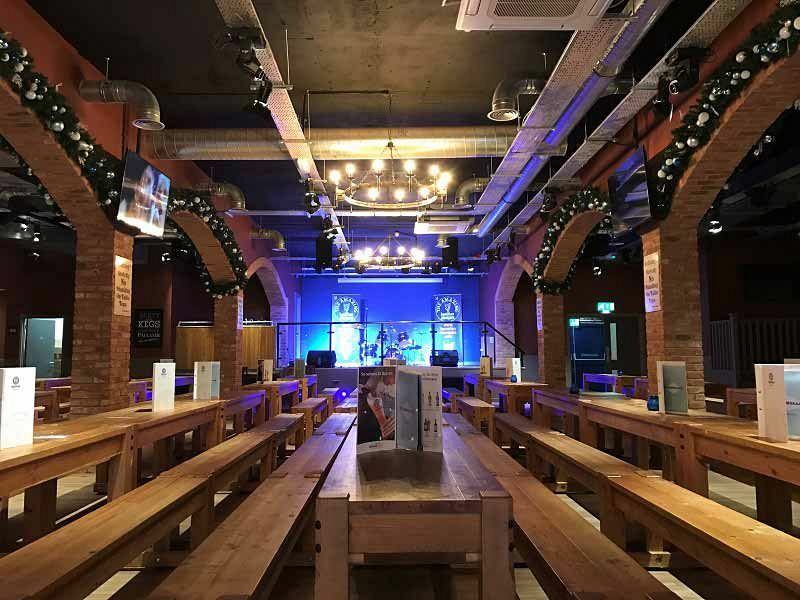 The bierkeller is ideal for private groups of up to 500 and there’s a great range of packages on offer to give you the night of your life. If you’re looking for more of a bespoke package, then that can easily be arranged with the friendly team who will create an evening that everyone will love; from canapes on arrival to a succulent hog roast, the possibilities are endless! 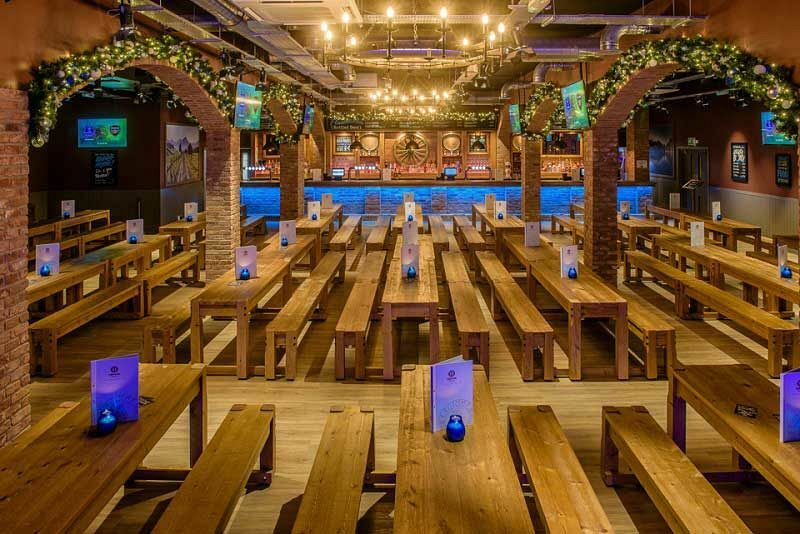 The Bierkeller features classic long wooden tables where guests will drink, dine and party! Entertainment can also be arranged during the evening so everyone will be able to dance into the early hours as they clutch a stein of Haus Bier in one hand! 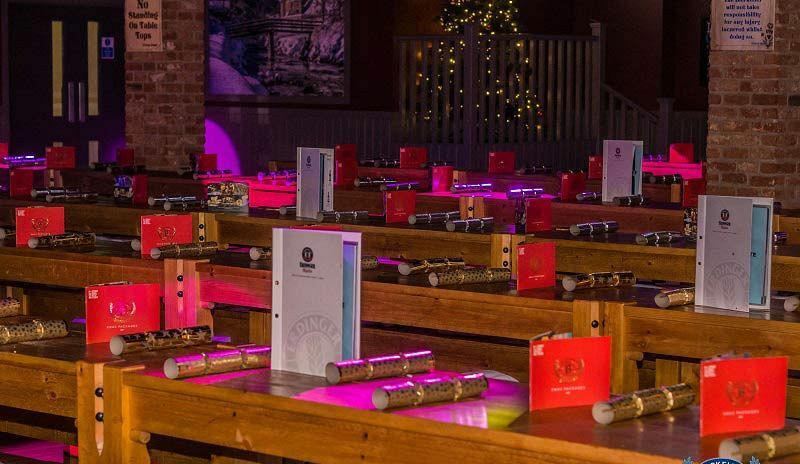 Send an enquiry through today and get the ball rolling for your festive party planning! Various food and drink packages available.